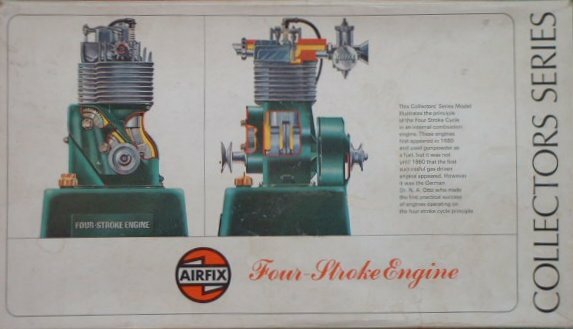 This model, the latest in the Collectors' Series range of model engines, illustrates the principle of the Four Stroke Cycle engine. Internal combustion engines first appeared in 1680 and used gunpowder as a fuel, but it was not until 1860 that the first successful gas driven engine appeared. It was the German Dr. N. A. Otto who made the first practical success of engines operating on the four stroke cycle principle.